Burnbank is a modern detached property. At the front there is a dining room, and a cosy sitting room with french windows opening on to the deck – the ideal place to relax and admire the view on the long summer evenings. 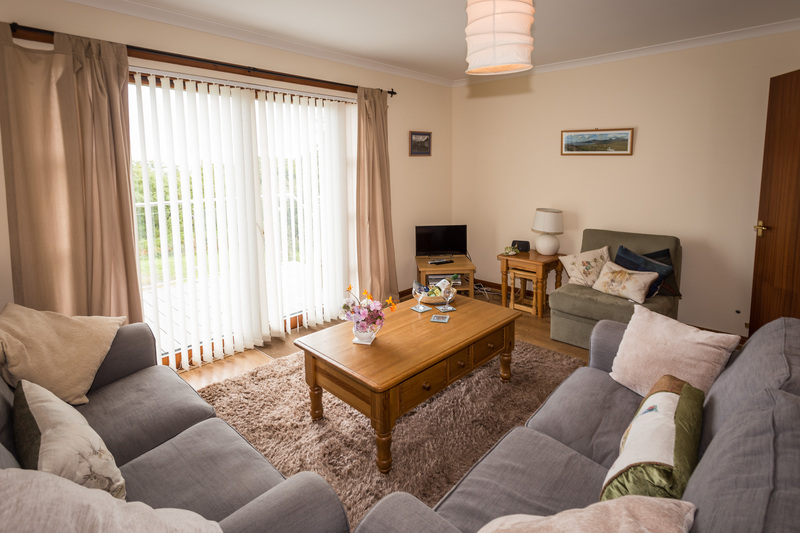 There is electric heating, free wifi, TV with Freeview, radio and DVD player. The kitchen is fully equipped with oven and hob, fridge/freezer, washer/drier, dishwasher and microwave. The spacious bathroom has an over-bath shower and WC, and there is also a separate WC. Upstairs there are two bedrooms (one double and one twin), each with lovely sea views. In the sitting room there is a chair which converts to a single bed. All bedlinen and towels are provided. Outside there is a picnic table and plenty of garden furniture, and space for children to play. There is a good collection of maps and books about Jura and other islands. 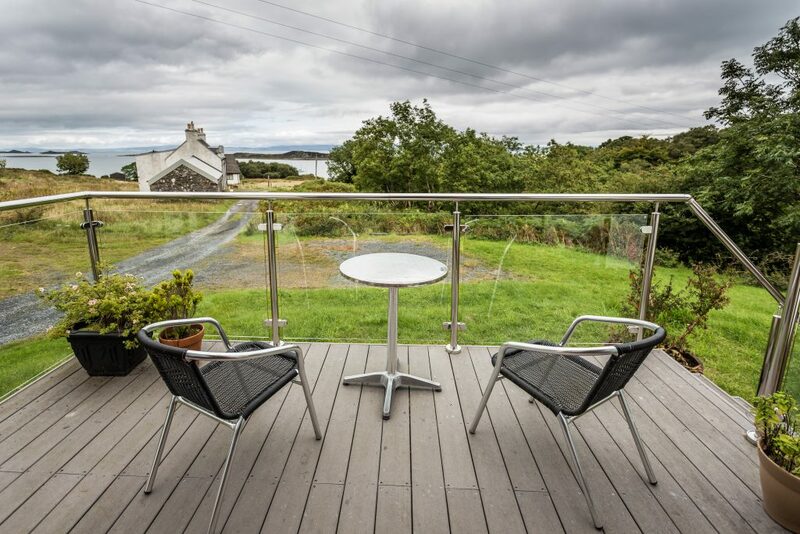 The accommodation is ideal for a couple, a small family or a group of friends.